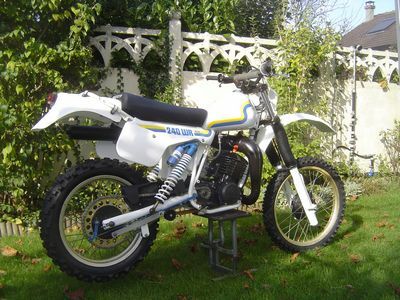 1983 430 WR OWNED BY FRANCIS STEMPIEN OF BELGIUM. LOOK CLOSELY AT THE PIPE AND SILENCER, THEY ARE HANDMADE WORKS OF ART. 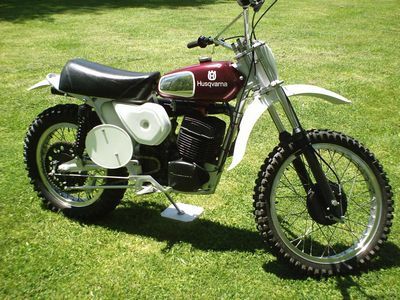 BEFORE AND AFTER PICTURES OF A 1981 250 XC OWNED BY PETER DUBALDI OF UREKA, CA. I ASSISTED PETER IN HIS PARTS NEEDS. WHAT A INSPIRATION!!! 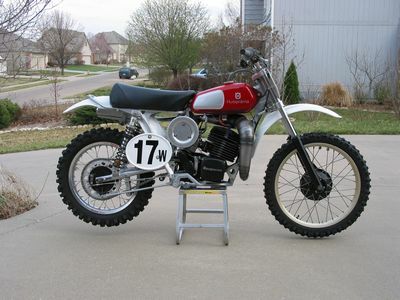 1979 390 WR WITH "52" ORIGINAL MILES. OWNED BY RICH GIESE AND PROUDLY DISPLAYED IN HIS LIVING ROOM. 1984 400 WR, A COMPLETE GROUND-UP RESTORATION. OWNED BY ED MORJIG. I ASSISTED ED IN HIS PROJECT AND PROVIDED PARTS AND TECHNICAL HELP. 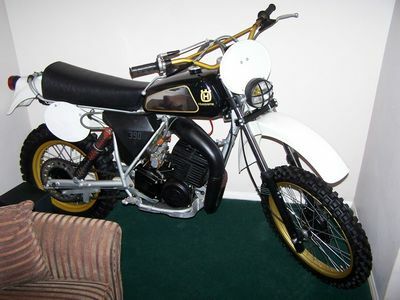 THIS BEAUTY BELONGS IN HIS LIVING ROOM TOO, BUT ED SAYS HE WANTS TO RIDE AND ENJOY IT !!! 1974 360 CR "HYBRID RACER" OWNED BY MARK HODGES. BOTH BIKES HAVE EXTENSIVE TRICK HARDWARE THROUGH-OUT. TO THE LEFT IS MARK'S 1975 360 CR. 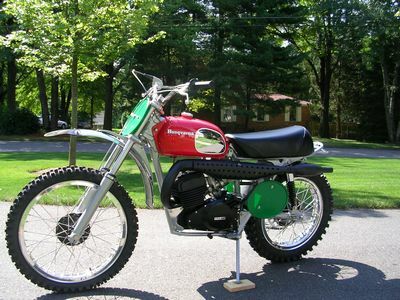 1973 250 WR OWNED BY BOB NOVICKI. 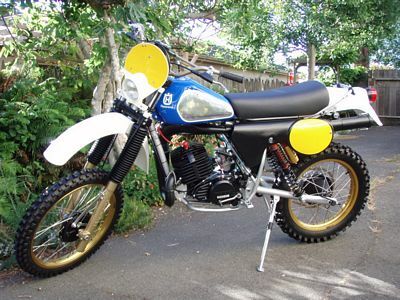 THIS IS BOB'S SECOND HUSQVARNA RESTORATION AND HIS EFFORT IS FIRST CLASS MUSEUM QUALITY. 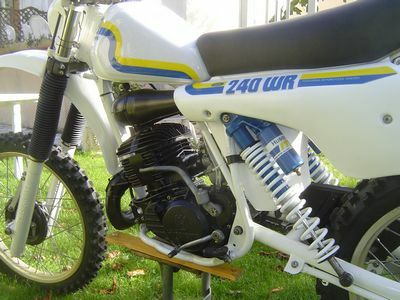 PICTURE TO THE LEFT IS BOB'S FIRST RESTORATION, A 1983 250 WR. I APPLAUD YOU FOR THE ENCORE!! 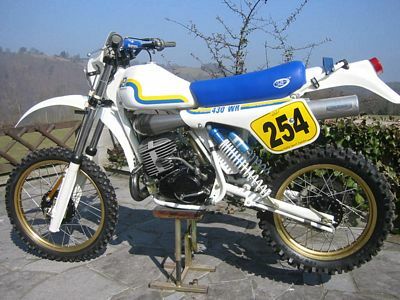 1983 EUROPEAN 240 WR OWNED BY FRANCK DENEUX. I SUPPLIED FRANCK WITH A MZB IGNITION KIT WHICH HE FEELS IS A HUGE IMPROVEMENT TO THE PERFORMANCE AND LIGHTING. NICE RESTORATION EFFORT. I RAISE MY GLASS AND TOAST YOU!!!! 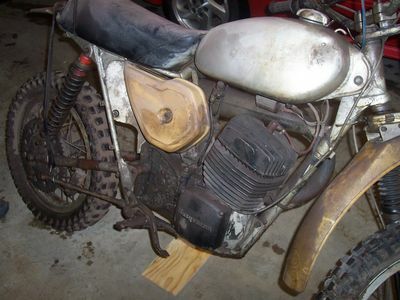 BEFORE AND AFTER PICTURES OF A 1974 400 CR OWNED BY KEN RUPERT OF YOUNGSTOWN, OHIO. 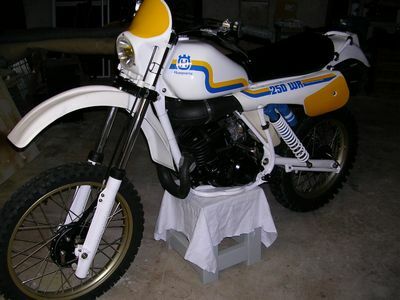 ANOTHER HUSQVARNA RESCUED!!! 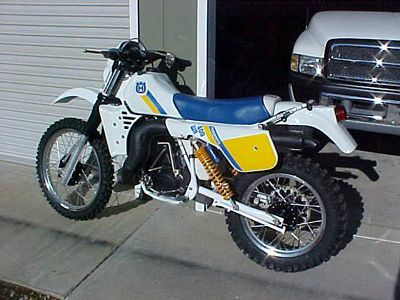 1987 430 WR OWNED BY CRAIG DOUGLAS OF ESCONDIDO, CALIFORNIA. 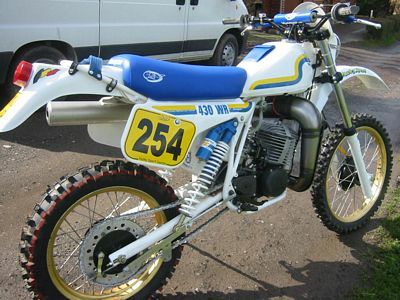 HIS 1987 WAS COMPLETELY RESTORED WITH MOST PARTS SUPPLIED FROM HUSQVARNA-PARTS.COM. 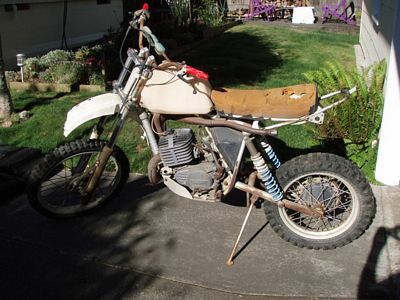 CHECK OUT THE HID LIGHTING AND GPS INSTRUMENTATION MOUNTED ON THE HANDLEBARS. CRAIG SAYS THIS BIKE WILL BE TAKING HIM ON MANY HIGH SIERRA RIDES.